A Cooperative Research and Development Agreement, or CRADA, between ORNL and SINAP focuses on accelerating scientific understanding and technical development of salt-cooled reactors, specifically fluoride salt-cooled high-temperature reactors, or FHRs. The project will draw on ORNL's expertise in fuels, materials, instrumentation and controls, design concepts, and modeling and simulation for advanced reactors, as well as the lab's experience in the design, construction and operation of the Molten Salt Reactor Experiment, the only molten salt reactor ever built. 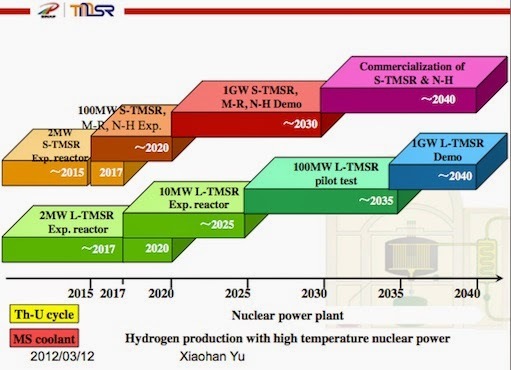 The Chinese Academy of Sciences (CAS) has provided resources for research, technology development, design, and construction of an FHR test reactor in China. This initial test reactor will have a maximum thermal power of 10 megawatts. A second, 100-megawatt test reactor is also planned. 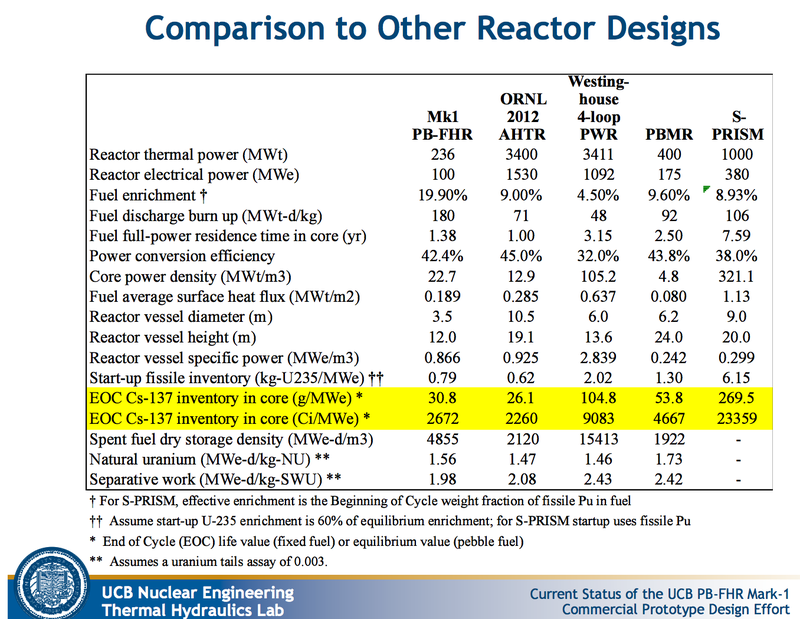 Both FHR test reactors will use low-enrichment uranium fuel. 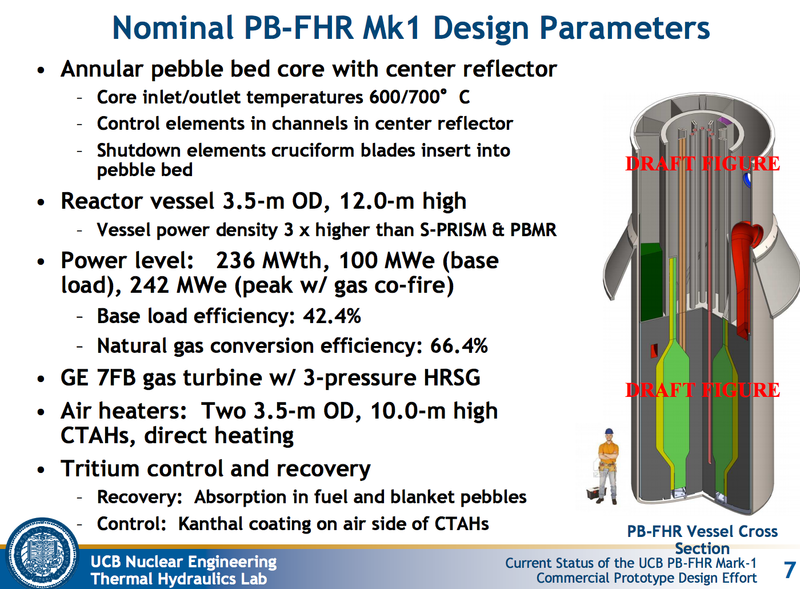 FHRs are an emerging class of salt-cooled reactors that feature low-pressure liquid fluoride salt cooling and solid coated particle fuel. This design provides a high-temperature power cycle that improves efficiency and a passive safety system designed to handle potential accident conditions without human intervention. FHRs have the potential to economically and reliably produce large quantities of carbon-free energy (both electrical and thermal), but technical challenges remain. China's timeline was presented in 2013.